Of all the different series, the 200, 300 and 400 series are the most common. Stainless steel is graded through consideration of the environment that it will be assigned to. The typical stainless steel grading system used for stainless steel is the Society of Automotive Engineers (SAE) Grades, which is designated by the SAE, and the UNS grades. Since stainless steel is an iron-based alloy, stainless steel grades contain a minimum of 11% chromium. In addition to chromium, alloys such as molybdenum, copper and titanium may be added to amplify certain properties. Some overarching characteristics of stainless steel include corrosion-resistance, high ductility, weldability and cryogenic toughness. Another benefit of stainless steel grades is that they are totally recyclable, creating increasing demand amongst environmentally-friendly consumers. Additionally, stainless steel grades have wide-ranging applications such as consumer appliances, automotive exhausts, surgical instruments, heaters, valves, knife blades, chemical tanks, heat exchangers and spring clips. As a result, stainless steel grades are utilized in numerous industries including medical, automotive, manufacturing, aerospace, printing, marine and petrochemical. 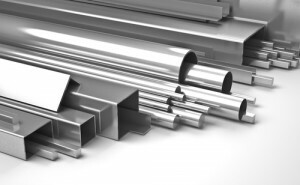 The different series of stainless steel grades all have unique characteristics. The 100 through the 300 series are all various grades of austenitic stainless steel, which is the most common type of stainless steel in production. 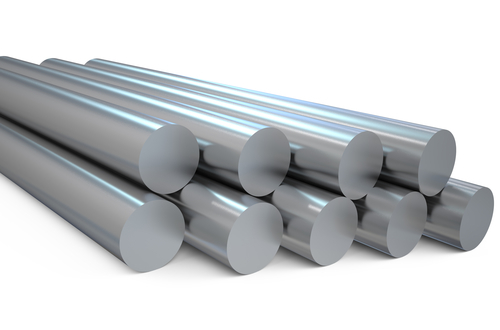 Some characteristics that are unique to the 100 series include the composition of austenitic chromium-nickel-manganese alloys that are available in two types: type 101, which can be hardened through cold working; and type 102, which is a more general purpose type of stainless steel. Both types are often used in furniture. The 200 series is also composed of austenitic chromium-nickel-manganese alloys, although the percentages differ. This series includes type 201 and type 202, which mirror the 100 series types. The 300 series is the largest series and are composed of austenitic chromium-nickel alloys. Some types within these series feature the addition of molybdenum for increased corrosion resistance and changing carbon content depending on their designated environment. Types 304 and 316 are the most common types in the 300 series. The 400 series includes various grades of ferritic and martensitic stainless steel and are all composed of chromium alloys. The types of stainless steel in this series are magnetic and typically contain 11% chromium and 1% manganese. The 500 series consists of heat-resistant chromium alloys and is not very large or commonly used. Lastly, the 600 series consists of martensitic precipitation-hardening alloys that can undergo heat treatment and attain high strength levels. Stainless Steel Grades There is an incredible variety of stainless steel grades available, which are categorized into six different series: 100 series, 200 series, 300 series, 400 series, 500 series and 600 series.